Smoothie King is a smoothie franchise company based in New Orleans. Its vision is to be an essential part of people’s health and fitness journey. When Steve Kuhnau founded Smoothie King, he immediately thought of the perfect smoothie to cure his allergies. Thus, his “smoothies with a purpose” were born. People liked this natural and unique concoction. These smoothies could help customers lose weight or go through a workout. Since its establishment in 1989, the company has also been the first franchise company ever to be cited by Entrepreneur Magazine. Employees get various benefits from the company. These are free beverages, a casual dress and working atmosphere, the use of mobile phone, competitive salaries, flexi-time schedules, and swift promotions from entry level to managerial jobs. Employees also get the necessary training for a job they like. Everybody in the company adopt a healthy body and mindset, professional team player attitudes, and outgoing, friendly personalities. You must be at least 16 years old to work for the company. This age requirement is mostly for entry level jobs. Labor laws apply on certain states and countries. The company offers competitive salaries for the following positions. Check out the qualifications and tasks for each job. Be sure to apply for one that matches your preferences, skills, and work experience. Shift Leader: The shift leader must have one or more years of experience working for the same position. He must be a hard worker who can supervise shifts and work with his teammates. His task is to provide quality and consistent service to customers. He helps greet customers and maintains the cleanliness of the store. Cashier: The cashier handles money transactions and provides the best possible service for customers. He must be punctual, dependable, and enthusiastic. He acts with integrity. He also communicates effectively with the management and his customers. As cashier he accurately gives out change and promotes the products of the company. Manager: The manager is a highly driven individual who seeks to provide guests with the highest standard in terms of products and service. He motivates his team members to emulate and adopt the values promoted by the company. He optimizes and boosts product sales and creates a positive dining experience for guests. Smoothie Maker: As a smoothie maker, the candidate takes perfect care of guests, ensuring that they are well attended to. He opens and closes the store on the designated hours, and blends smoothie based on the formula of the company. He follows to a T the brand’s regulations and standards. A high school diploma is necessary to qualify for this position. Social Media Coordinator: Smoothie King needs a social media coordinator who can actively play a role in the development of the company’s online community. He maintains the company’s preferred social media platforms and sorts out their digital archives. He responds to queries online and posts relevant stuff and announcements about the product. Field Marketing Coordinator: The tasks of the field marketing coordinator include the following: serving as liaison officer between the store managers, franchisees, and the company’s marketing department; maintaining strong communication ties within internal departments; updating the regional fund budgets and meeting its metrics; and representing the company on TV, radio, and other media. Barista: The barista delivers the best possible service to guests, and fosters an atmosphere of teamwork. He must be an excellent communicator. He talks to guests and his teammates in a cheery manner. Like the rest of the team, the barista helps in maintaining cleanliness and orderliness in the store. He should also be physically fit. Career Fair Coordinator: The career fair coordinator helps the HR department during the recruitment of team members and other new employees. He coordinates with the higher ups, especially during the screening and interviewing of applicants. He is responsible for opening job fairs in various states. 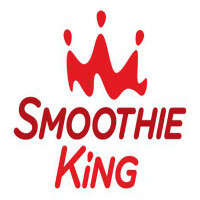 Event Coordinator: The event coordinator is in charge of Smoothie King’s events, festivals, birthdays, fundraisers, charity events, and job fairs. He helps customers make food choices and calculate their budgets. He must be enthusiastic and energetic. The perfect candidate possesses superior communication and interpersonal skills. District Manager: The district manager works with the store manager in supervising the daily operations of the franchises in a location. He makes sure that all stores are operating and following the company’s standards and policies. He helps develop training programs for employees who are shortlisted for promotion. He also thinks of ways to boost and optimize sales. The best way to apply for the company is to check out the company’s announcements for job fairs. You can also inquire at the nearest branch for any job openings. You can simply drop off your resume at the company’s HR office, or give it to the HR manager during career fairs. Online applications are possible only through job search websites such as LinkedIn, ZipRecruiter, and Indeed. There is an Apply Now button at these websites and you will be asked to key in your personal information as well as submit your resume. Just make sure you’re also prepared with your cover letter. Stick to the basics in your resume. Provide a clear summary of your skills and strengths. Include your objectives at the beginning of your resume. Write your previous work experience. If you submitted your application online, you’ll have to wait for a call or email from the HR department. If you submitted your application in person, you might be led to the interview process immediately. The work culture in this company is rather unique. The workplace has a relaxed vibe, although the employees are all motivated to do their tasks. Employees are productive and happy. One of the headliners for 2017 is the company’s decision to move its headquarters from Metairie to Dallas. The company’s commitment to New Orleans ended and the company owners planned to explore other options. The company is best known for its healthy beverages and tasty flavors such as the mangosteen juice blend, lemon, mango, acai, carrot, kale, and nuts. There are also plant-based and protein-rich smoothie blends. The company has teamed up with Challenged Athletes Foundation (CAF) in a mission to help physically-challenged athletes. CAF is a non-profit organization that caters to athletes who want to lead better and healthier lives.